A different honeymoon venue - Potala palace in Tibet. The whole palace is huge. I can only draw in the most significant part, which is the main palace in the centre (the maroon part). The groom is 'piggy-backing' the bride up the steps. Xiong! 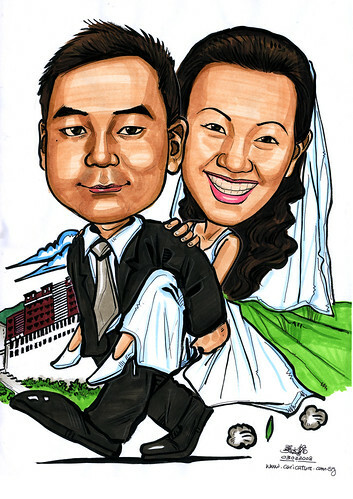 See the difference in caricatures black and white ink, and colour? Which do you prefer?